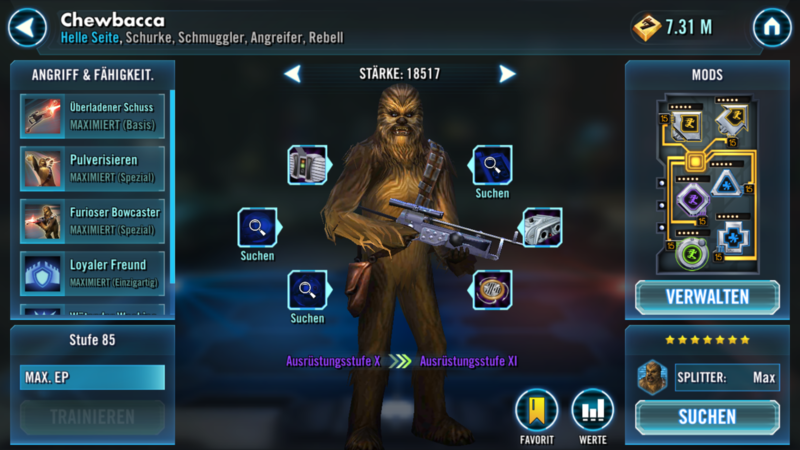 Chewie Event: The most frustrating thing to exist. I understand the op frustration. My team has 100k power. I have attempted it probably 150 times and only beaten a single toon once. 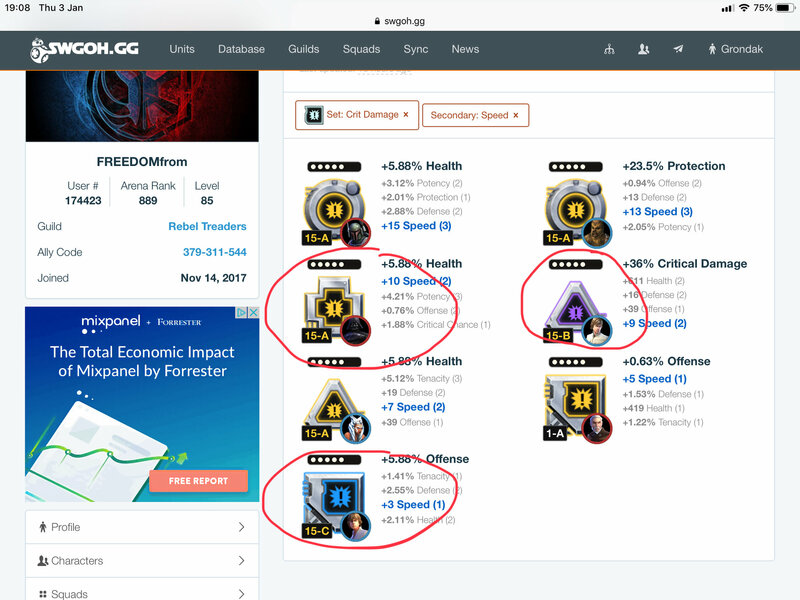 Squad power is a poor measure of squad ability. But really, I disagree with the OP. The most frustrating thing to exist are those "resealable" bags that never stay shut. I've been trying over and over and over again. Can't ever kill Chewie. 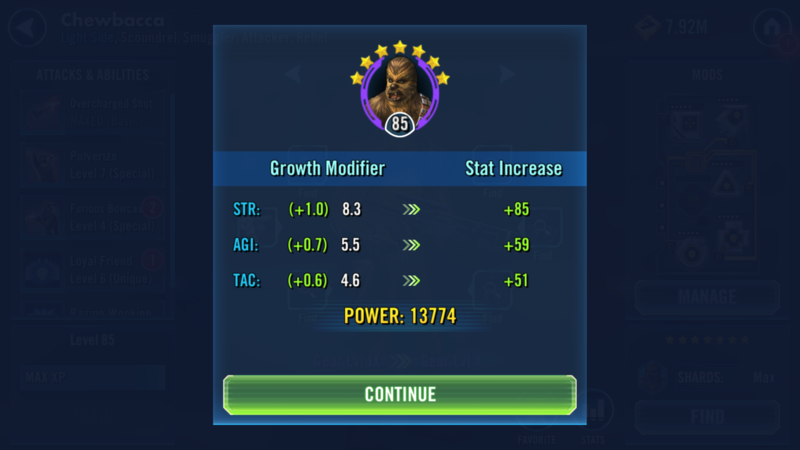 I tried switching it up to kill Han or Lando first. Almost killed Lando before everyone died, but was not successful. This is crazy hard, but a nice challenge. Hopefully I can manage in 5 days. Your gear level is really low to be successful. Bossk - your Bossk is both slow and low gear level - so he needs to survive! Here’s what I would steal. The protection arrow needs to be leveled to 15 obviously. 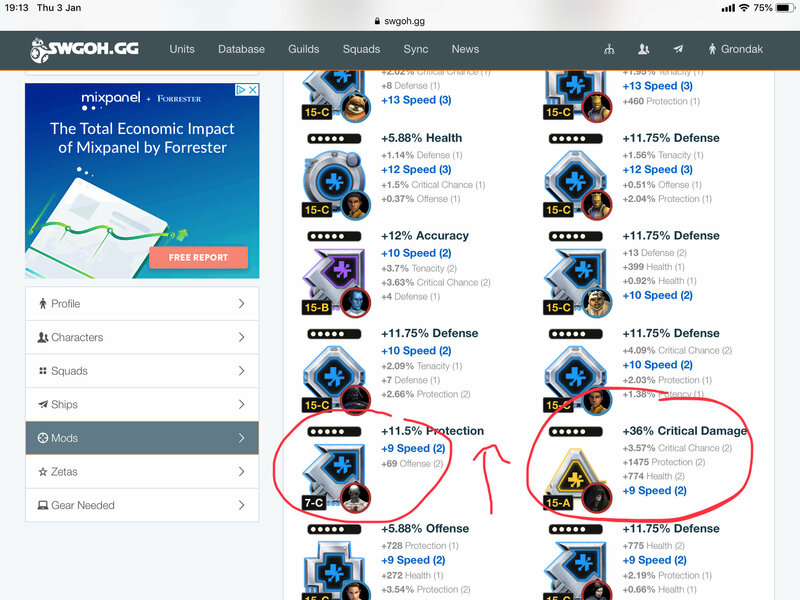 Cad Bane - your gear level, combined with his slow speed isn’t helping - we need him faster, and around 70% CC (he gets 30% from his Unique) and we need him more durable at this gear level! So ideally I would have recommended 2 sets of CC mods with CD triangle and Speed Arrow (with Speed secondaries) and then 2 Health mods. 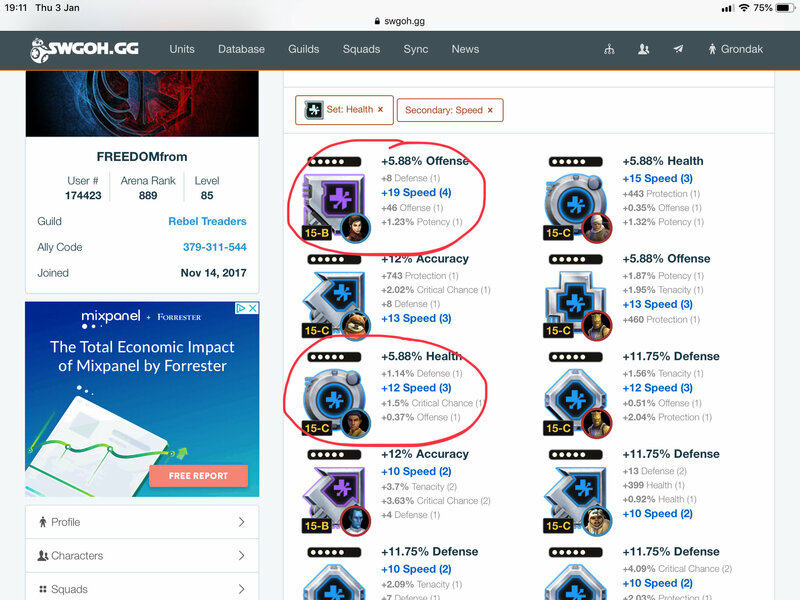 However you don’t have any CC mods with speed secondaries.....So Maybe look for Health mods with CC change and Speed on them. Oo thanks for that help. I modded them all for speed trying to boost them up. They were all really slow, now Bossk and them are in the 200s. But I'll take those mods and see what I can do. And yeah i'm trying to gear them up more. Crit avoidance arrows for the win. 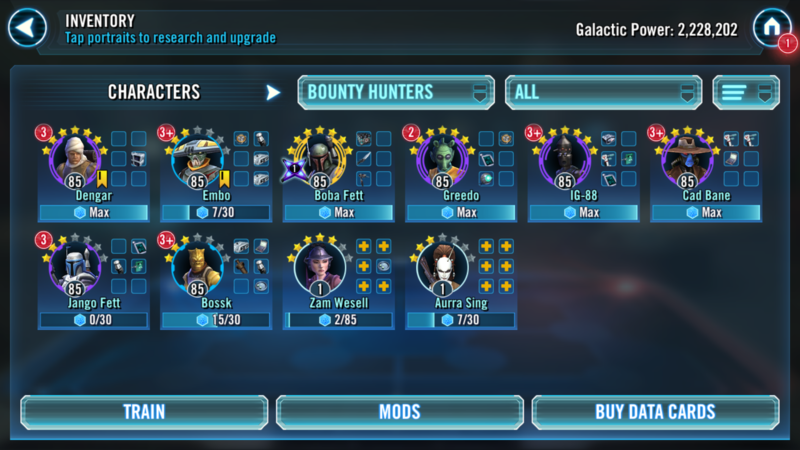 Seriously, had a reasonably geared squad of my own (zBossk G12, Boba G12, Dengar G10, Zam G11, Cad Bane G11) moved my arena mods over and got hopelessly clobbered. Everyone stunned or dead after the opener. I swapped out a speed arrow for crit avoidance and protection for tenacity on Bossk and it handled it easily the next attempt. I realize OP doesn't have zBossk and is attempting the second most difficult content in the game with an extremely undergeared squad, but keep adjusting your mods. It is possible. Just insanely possible. Without Bossk too, nice work @sirmatt101 congrats! I switched up some mods. 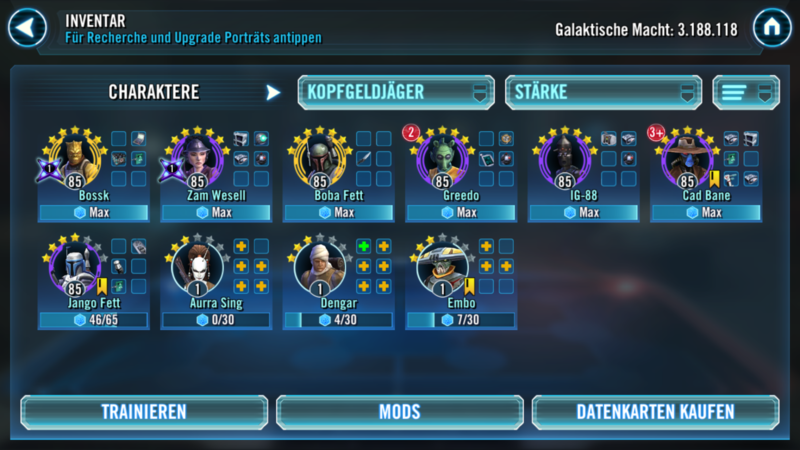 I'm about to get Bossk to gear 10. Gearing these guys up is hard. 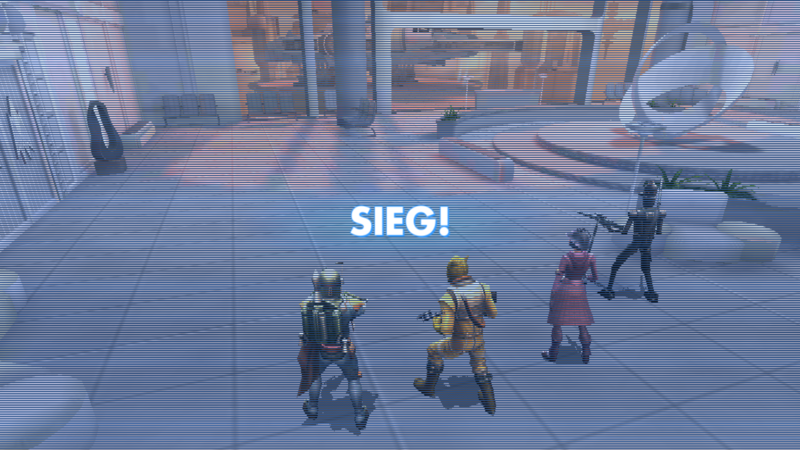 It took forever, and like everyone was saying if Bossk or Boba got stunned/killed/ability blocked or R2 used stealth I just had to re-start. I think I killed Chewie, Han, Lando, Leia, R2.